Get ready to roll with Finnegan Wake™ doll! The real Mansters™ of Monster High™ embrace their freaky flaws with pride, including scaredevil Finnegan Wake™. 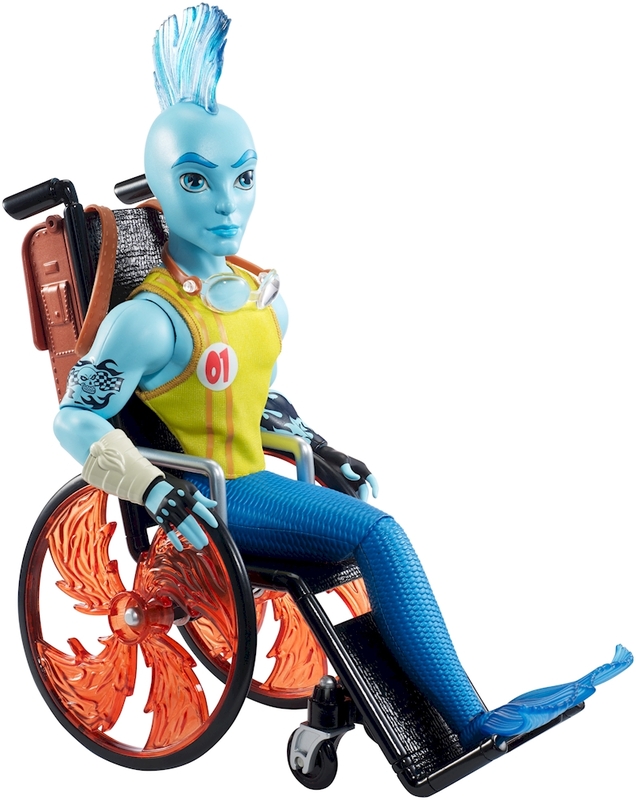 This son of a Mermaid may use a wheelchair, but he is always “ready, wheeling and able” for anything -- except staying still! 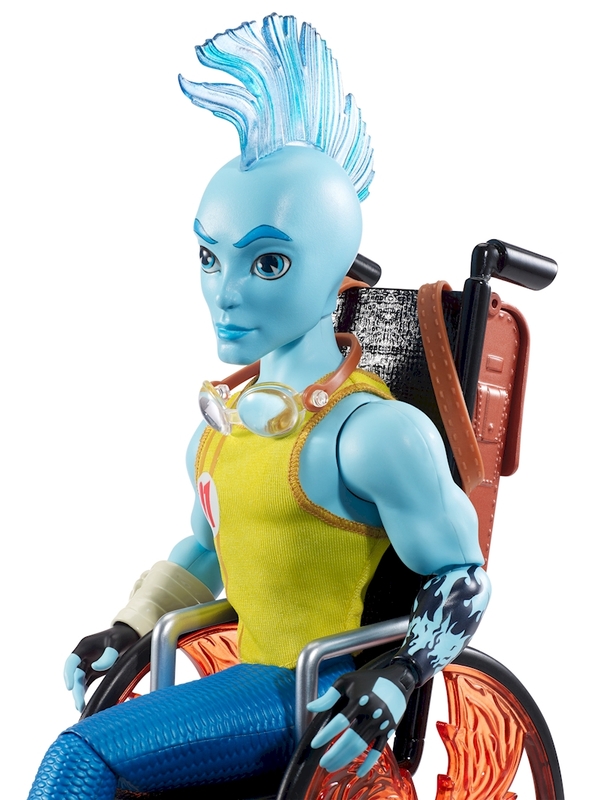 Winner of the Global Fan Vote, Finnegan Wake™ makes his debut in doll form wearing his signature sportacular outfit and seated in his iconic wheelchair. Scary cool in shades of blue, his yellow “01” race tank shows off his fin-tastic tats and makes a splash against his scaly articulated tail and translucent fin. 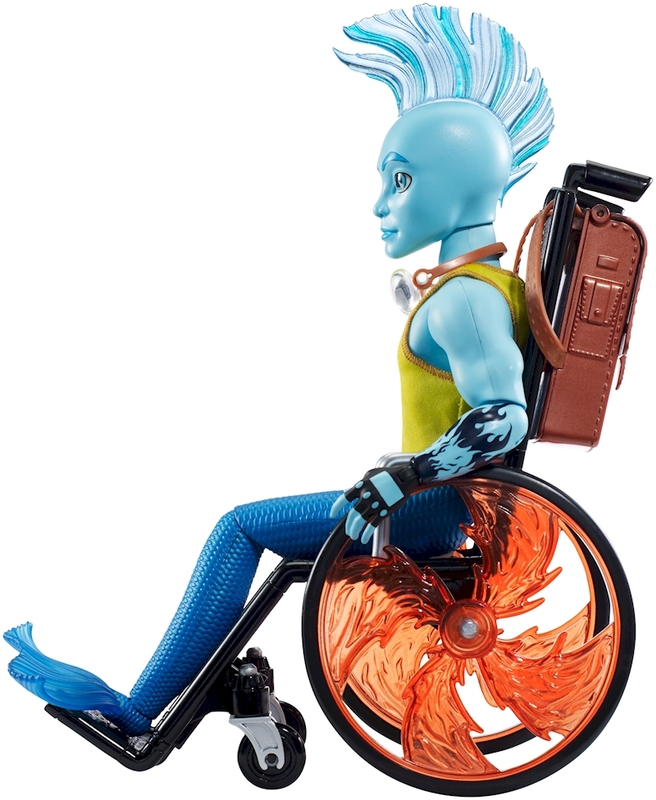 Accessories include his speed goggles, racing gloves and a backpack that fits on his wheelchair -- plus, he comes with a diary that includes sea-sational details about his life on land and in the sea. The rolling wheelchair has flames for spokes, a textured body and silvery arms. Voted fan favorite, ghouls can roll with this mohawked merman whose need for speed opens the door to spinsane Monster High™ fun! Includes Finnegan Wake™ doll wearing fashion and accessories, backpack, diary and wheelchair. Colors and decorations may vary.